These are projects that I have worked on over the years. I used these projects not only to teach myself circuit theory but also to learn and practice construction techniques. These projects are far from perfect; many have design flaws, and some of them were poorly constructed or have a nest of wires inside the chassis. Nonetheless, each one taught me valuable lessons. I do not encourage you to duplicate these projects unless you are familiar with electronics and know how to design and build them properly. The photos are not of great quality. In some cases, I am using old photos that I hastily took and no longer have the projects available for retakes. In other cases, I just do not have the time or proper setup to take a high quality photo. 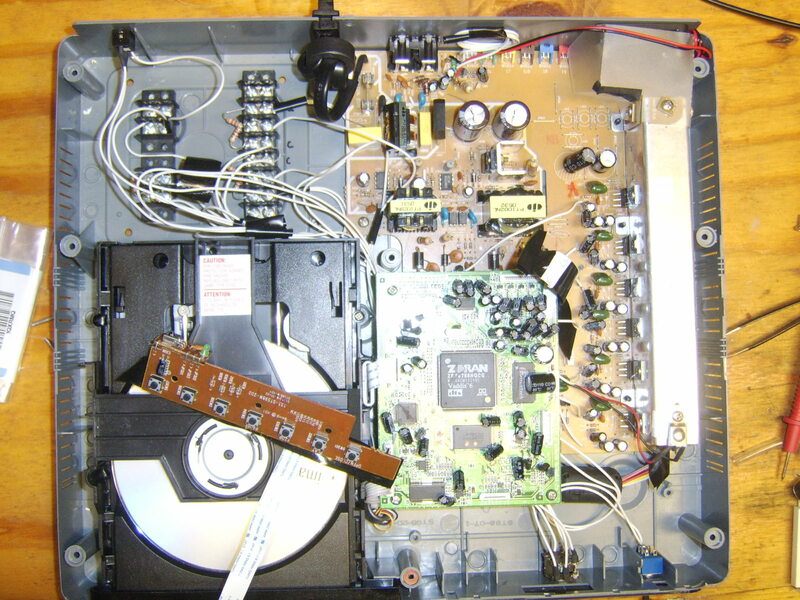 There were two circuit boards, one with the DVD player controller, and one with the power supply, audio amplifier, etc.. I disabled the DVD board by unplugging it. I located the audio amplifier circuit and the inputs for each channel. 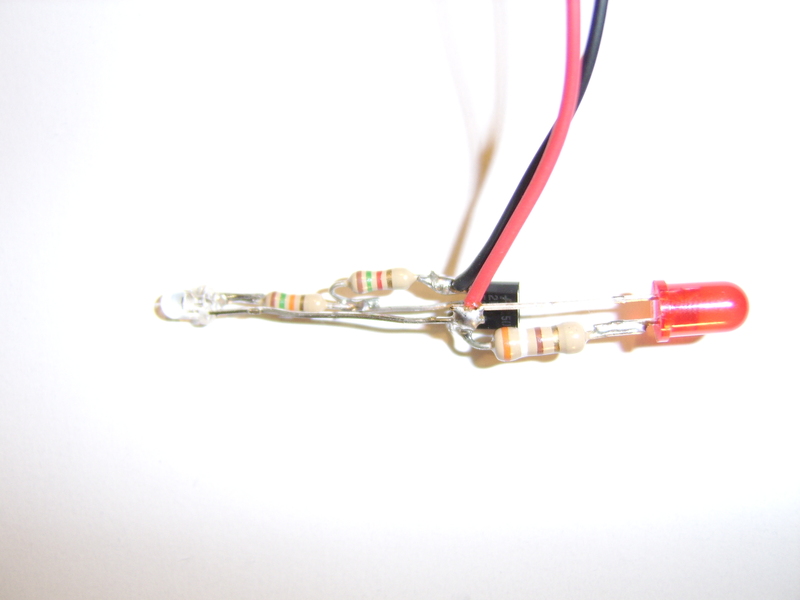 I drilled holes in the PCB and soldered wires to each channel input. 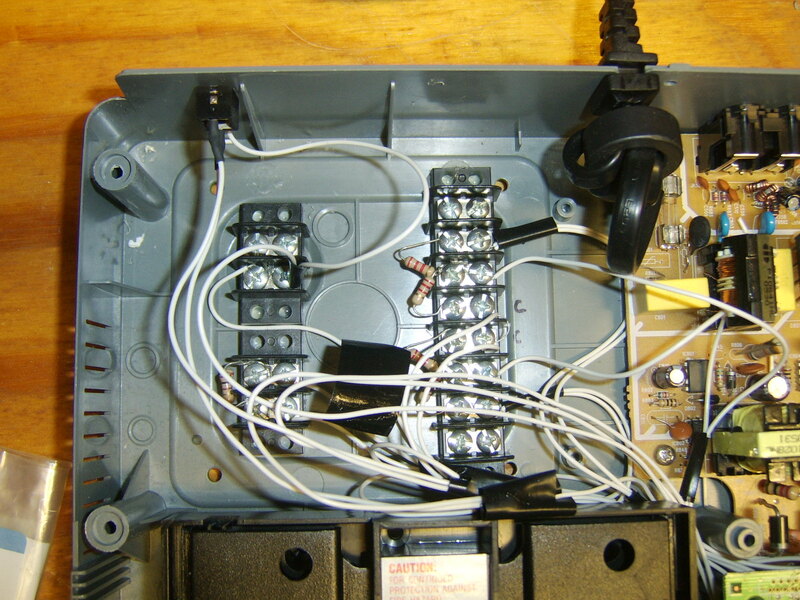 As I recall, I was able to disconnect the inputs from the DVD system by simply unplugging a cable. I added a audio input jack (only two channels), volume control, and a simple resistor mixer for the center channel. Fortunately, there was a lot of empty space in the back of the chassis, and I was able to install terminal blocks. 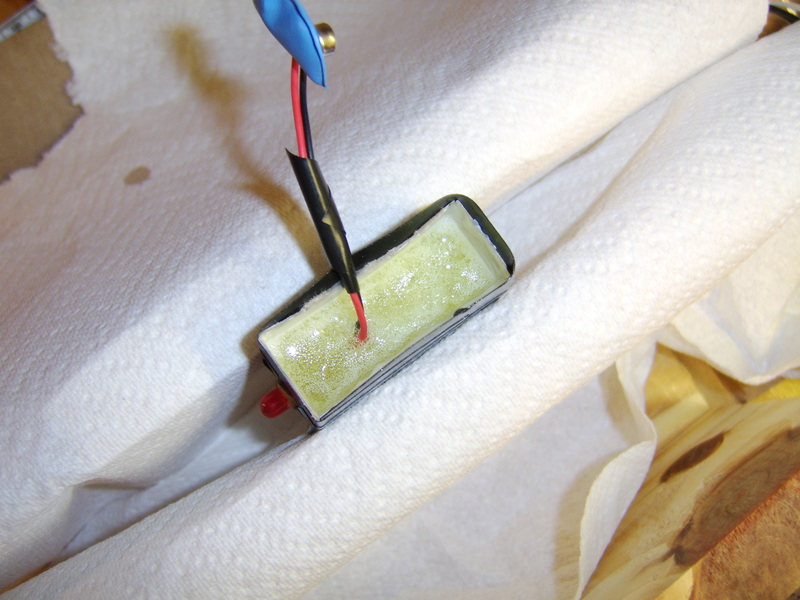 Because the power was controlled by the circuit board, I had to install my own power toggle switch. The amplifier cooling fan was designed to only turn on when required. I hard-wired the fan controller so that it would turn on whenever power was on. 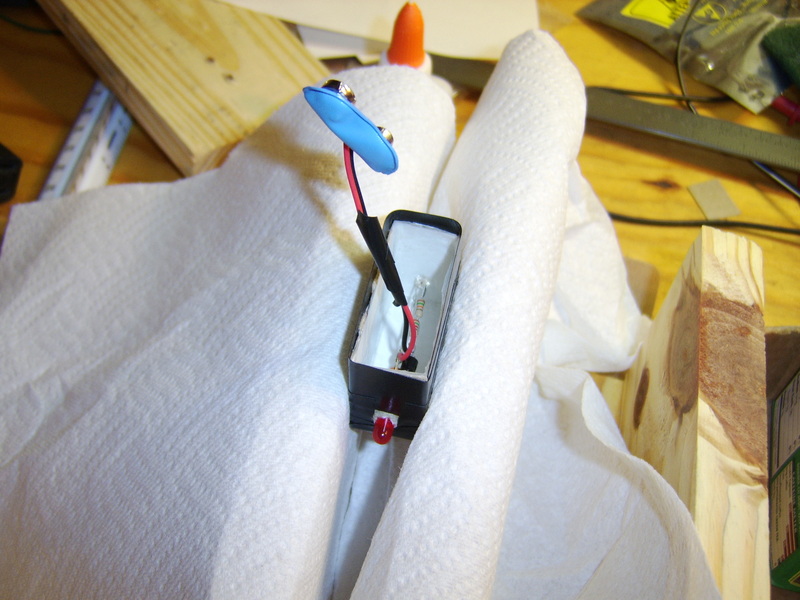 I drilled holes in the chassis to install the audio jack, volume control, and power switch. 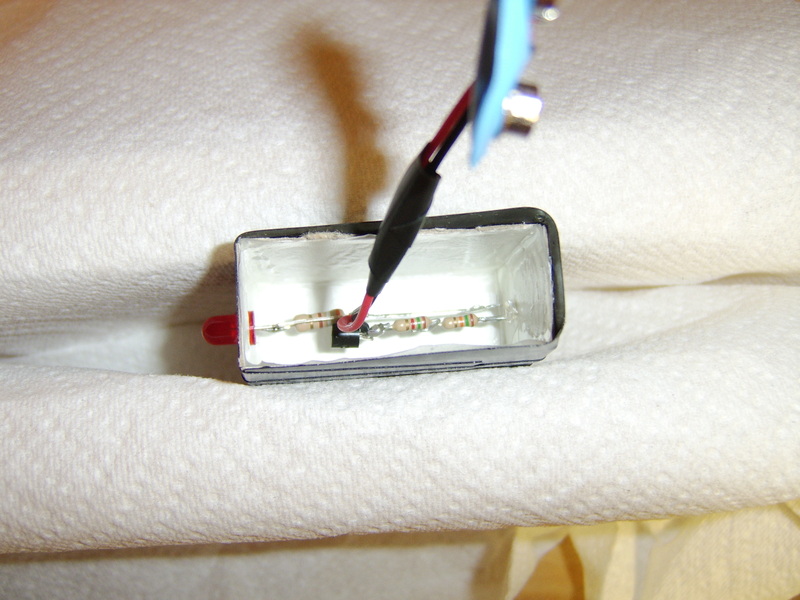 This is a simple infrared remote checker that I built. 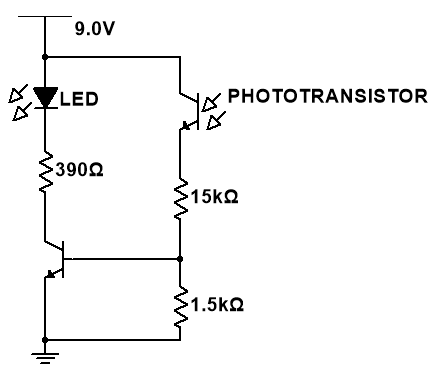 When it detects an infrared signal, the LED lights up. This largely served as an experiment in potting. 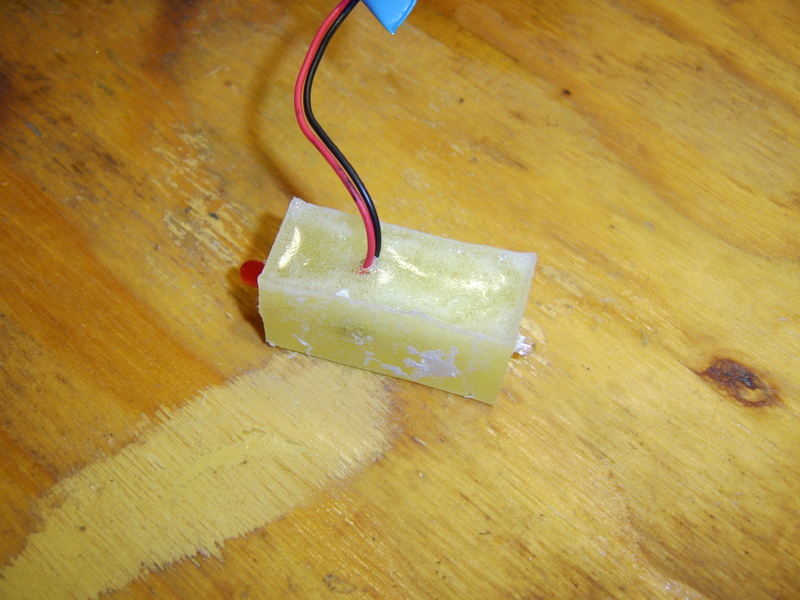 This is the mold with the circuit installed. I made it using cardboard, wax paper, and electrical tape, and held it in place using a vice.